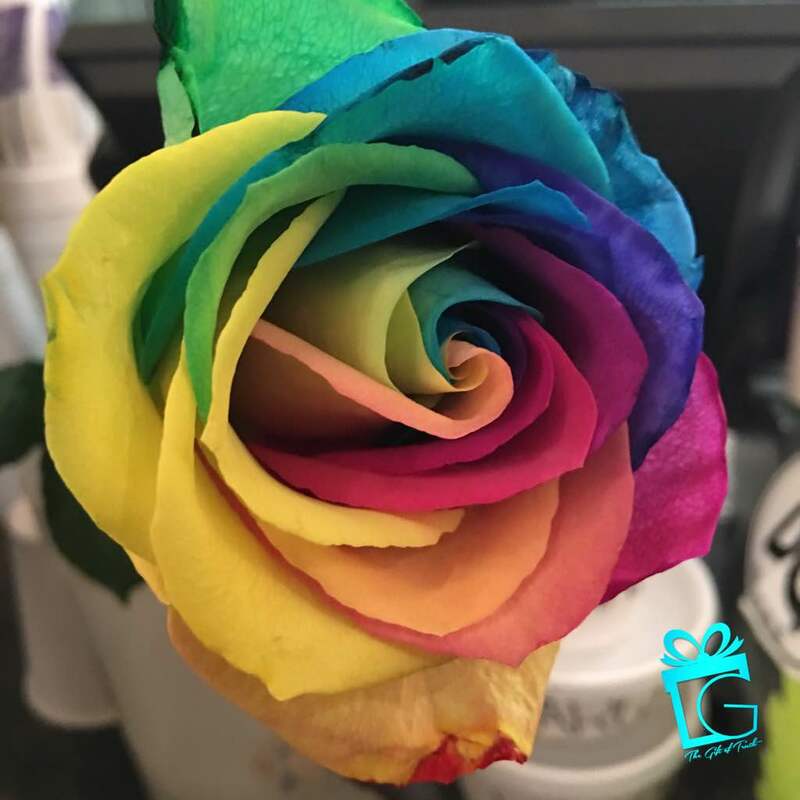 The Gift of Truth, Inc.: Live Your Life in Color! While out of town for work, I picked up dinner at a cute little burrito place and saw this beautiful flower on the counter. I have seen these multicolored roses before, but this one caught my eye (hence the picture). As I stared at the picture, I was reminded of the need to live in color! Along this journey called life, we often tone down the true essence of who we are. We do this for various reasons...fear of standing out, fear of making others uncomfortable, fear of being who we were created to be. As we embark upon a new year, it is important that we LIVE IN COLOR! That means we live boldly, fearlessly, and intentionally. Don't be afraid to shine! Dare to be different! To dim the color of your life is to rob others of the opportunity of experiencing your true beauty. Like this flower, show the various dimensions of who you are! Don't allow others to lock you into only one color...one way of thinking...one level of greatness. Embrace the fullness of who you were created to be. Live vividly, live beautifully! LIVE IN COLOR!